We've all seen them – brightly-colored hot air balloons – floating aimlessly across a scenic countryside, free as the breeze. As fixed or rotary wing drivers, we have stared at these vintage beauties, a sort of bizarro flying contraption that without much effort transports us back to 1783. That's when Jean-François Pilâtre de Rozier and François Laurent d'Arlandes decided to fill a large balloon with heated air, jump in a gondola strapped at the base and drift skyward in search of their fate, or their triumph. The idea of humans flying balloons was so out there at the time, King Louis XVI had a tough time buying into the fun, and actually tried to send up condemned criminals as the first pilots. As a powered aircraft pilot, I have tremendous respect for balloon pilots. To fly a ship with zero mechanical controls other than vertical lift and descent must take superhuman pilotage. You do not slide out to the field on a lazy Saturday afternoon, whip out the balloon and fly fat, dumb and happy over to the next 'Berg for a $100 burger. Unless the wind wants to go get a burger too. World of Flying: First, give me a quick background on you, your piloting/aviation/ballooning career, the kinds of planes and balloons you have flown, and licenses, ratings and type ratings you hold. Kathy Lee: I am 57 years of age, a Christian, a mother of now a 40-year-old son, and a registered nurse. I began as ground crew volunteer about 1991, however, I did not take my free flight for crewing due to fear of flying! In 1994 my desire to fly became stronger than my fears. I have never had a desire to fly a fixed wing, so I chose to be limited to LTA at this time. 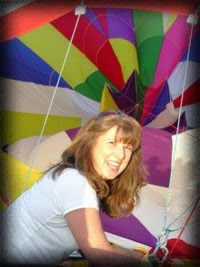 I trained in Nashville, TN, and in Louisville, KY in an Aerostar balloon. It was a 90, which means it holds 90 thousand cu. ft of air and 2-4 passengers plus the pilot. After obtaining my student certificate, I bought my first balloon, a new Aerostar 90 named SpiritWind. 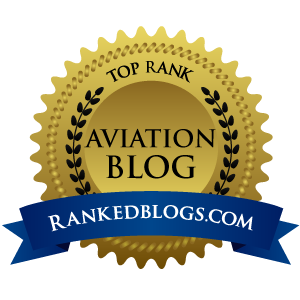 I have since earned my commercial rating, which means that I can take passengers for hire as well as do flight training. I have owned three hot air balloons, the second and the one I now own is a Cameron Balloon 80 (thousand cubic feet), but due to the weight of the aircraft, can still carry 3 passengers. I have attended festivals in New Mexico, Florida, Kentucky and St Jean sur Richie Leu, Canada. WoF: Describe how you navigate and "steer" a balloon, and describe the pre-flight planning process for a flight. KL: Balloon flight planning begins as much as two days prior to a flight. I look at several weather sites on the web the day before the flight, call my ground crew and passengers, place them on stand-by, look again at my weather sources several hours prior to the flight, then call flight services to ask for an official weather report and file a flight plan 4 to 5 hours prior to my flight. Right up to flight time, I will put up a pi-ball, (helium filled 12-inch balloon) to get a visual of winds. Part of the pre-flight planning also includes obtaining permission, if necessary, to use a desired property from which to launch depending on where you wish to end up down wind. Balloons go with the wind. There is no motor and no control over the direction, only altitude, however, due to the varying wind directions at different altitudes, a good pilot can guide his or her balloon close to a planned landing site. WoF: How does one learn to fly balloons, at a flight school or is it a skill that is "handed down" from one balloon pilot to another. 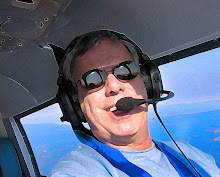 KL: There are flight schools, however, due to the expense and time, most pilots elect to hire a local pilot to provide his FAA required instruction as I did. As stated above, a commercial pilot is also certified to train students. My instructors made sure that I knew the navigational charts, weight and balance, all the FAA rules and regulations of air spaces as well as being able to perform emergency procedures. So with that said, if you have a desire to fly a hot air balloon, be sure that your instructor is serious about teaching you all the aspects of ballooning and safety that goes with flight and ground school. To pilot a balloon, you must have a pilot's license, or airman's certificate, just as you would for an airplane or any other aircraft. The only differences are the category of aircraft and the specific training requirements. The FAA issues balloon pilot licenses, Federal Air Regulations, Part 61 - Certification: Pilots, Flight Instructors and Ground Instructors. WoF: Bust one myth about hot air balloons. KL: Most people believe that ballooning is more dangerous than most aircraft, in fact it is the safest form of aviation known to man today.